The Spiritual Journey Through Mexico immerses you in the mysterious history of Mayan, Aztec, and Olmec cultures by visiting ruins, sacred sites, and participating in indigenous ceremonies. This ten day Spiritual Journey through Mexico trip takes you on a journey through indigenous Mayan, Aztec and Olmec cultures where you may participate in ancient rituals and learn about their beliefs and gods. Reception in the Mexico City Airport and transfer to the hotel. 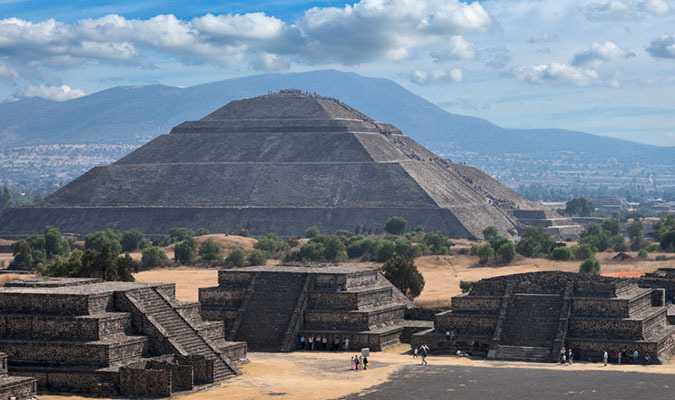 Today after breakfast and hotel check out, you will meet your guide in the hotel lobby and you will head on a 1hr/50km journey to Teotihuacán archaeological site, which in Nahuatl means ‘the birthplace of the gods’. The site is very large, covering 83 square kilometers, and contains both a ceremonial center and residential areas. Your expert guide will lead you on an exploration of the area that echoes with the sound of Mesoamerican flutes played all around. 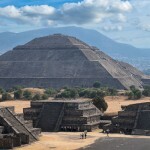 You may also have a chance to climb the 65m tall Pyramid of the Sun and/or the 43m high Pyramid of the Moon and look out across the city and valley of Teotihuacán. Afterward, you will be part of an ancient ritual led by a Shaman at a cave 15 mins away from the archaeological site. In this ritual, known as a limpia (cleanse), you are accompanied through a process of meditation, contemplating your dreams, emotions and beliefs through this experience. Upon completion, you will be driven back to the city for lunch (not included) followed by a tour of Mexico’s Mesoamerican, Colonial and Revolutionary history while exploring the historic center of the capital. What is now the heart of this modern city was also once the center of the Aztec world, Tenochtitlan. 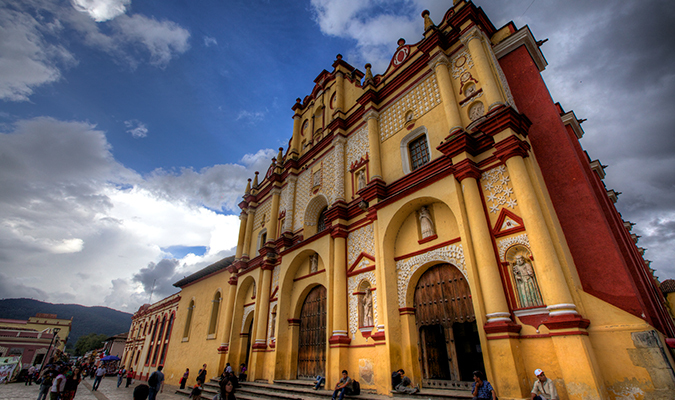 You will visit the Cathedral built upon the main Aztec temple by the Spanish conquistadors, as well as the painted representation of Mexico’s past by muralist Diego Rivera. Taking a walk along some of the center’s iconic streets, you will arrive at the Palace of Fine Arts where you can explore its varied architecture. To end the day, you will be driven back to your hotel for the rest of the evening on your own at leisure. 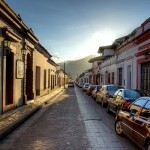 Your guide will meet you at your hotel lobby and you will be driven to San Angel, located in the South of Mexico City. With its narrow, cobbled streets and large colorful houses, it can be hard to believe that San Angel is part of Mexico City, this could be due to the fact that it didn’t officially become part of the city until the 20th Century. If you visit on a Saturday you will be able to explore the Bazar del Sabado, an art and artisan market that brings people to San Angel from all over the city. You will continue to Coyoacan to walk the footsteps of some of Mexico’s most revered artists and writers, including a visit to Frida Kahlo’s Casa Azul – a blue house where Mexican painter Frida Kahlo was born and later died, now a museum dedicated to her life. If time allows you will also have a chance to visit the Museum of Dolores Olmedo, a 16th century building with a cohesive collection of fine arts from Diego Rivera and Frida Kahlo, as well as hundreds of pre-Hispanic figurines and sculptures. Today after breakfast and hotel check out, you will meet your guide in the hotel lobby for a private transfer to the Mexico City International airport (35 mins) for your departure flight to Villahermosa. At arrival to the Villahermosa airport, you will meet your private guide for a transfer to Palenque; but first you will take a peek into the world of the Olmecs ancestors of the Maya, Aztec, and more during your visit to La Venta Museum. 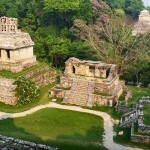 You will then continue toward Palenque where you may check in to your hotel and enjoy the rest of the evening on your own at leisure. Your private bilingual guide will meet you at your hotel at 8:00 am and you will be driven to Palenque Archeological Zone (10km, 20 minutes). 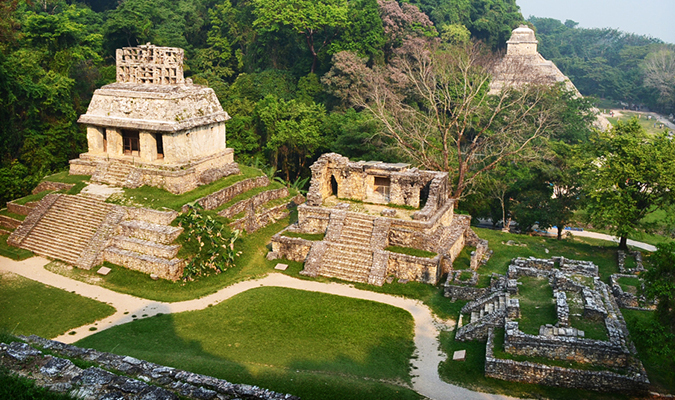 One of the most important destinations in Chiapas, Palenque is an ancient Maya city surrounded by jungle, which flourished around 600CE. 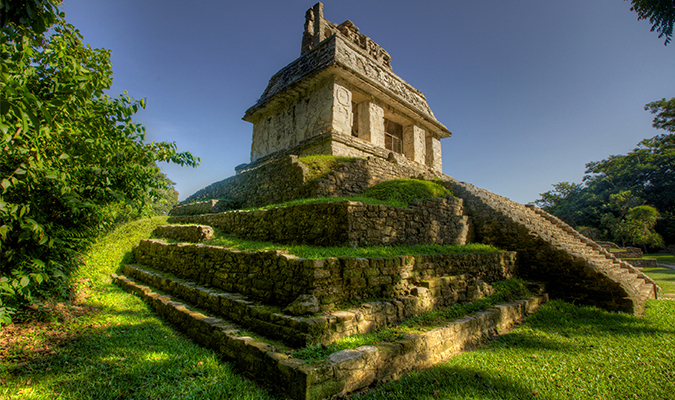 The city is believed to have been abandoned in 799CE and the jungle grew thick and strong over it, making the rediscovery of Palenque a great archeological feat. 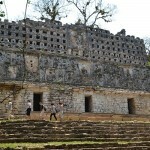 Palenque is a relatively large site surrounded by man-made waterways that speak of Maya ingenuity. Your expert guide will lead you in your exploration of the site, the history of which was pieced together through the large number of inscriptions. 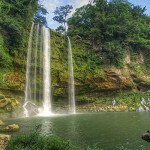 Afterwards, you will be driven to Misol Há waterfall (27km, 35 minutes). 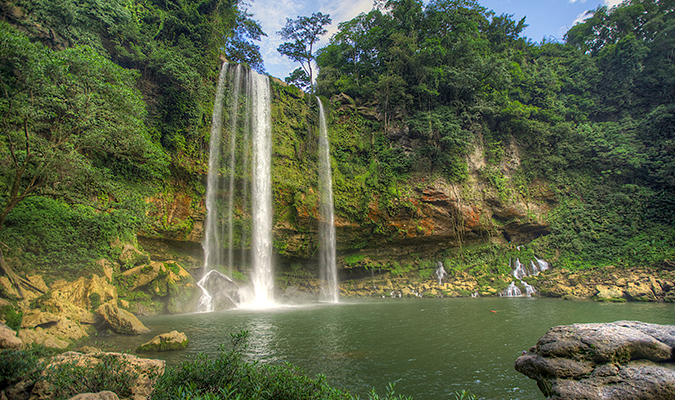 Misol Há waterfall powers down a 35-meter drop into a round pool. Surrounded by lush green vegetation it feels like a waterfall deep in the jungle, despite being easily accessible by road. 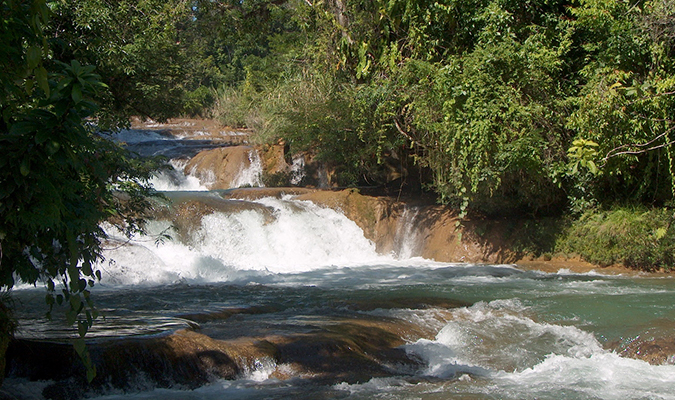 Film buffs may spot that Misol Há was the waterfall that Arnold Schwarzenegger jumps from in the 1987 film, Predator. You will have the chance to walk along a path underneath the waterfall to feel its power and get soaked by its spray. Upon conclusion of your visit, you will be driven back to your hotel (20km, 30 minutes). 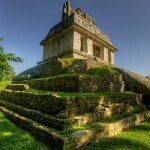 Your private bilingual guide will meet you at your hotel at 6am and you will travel to Bonampak (150km, 2.30 hours). 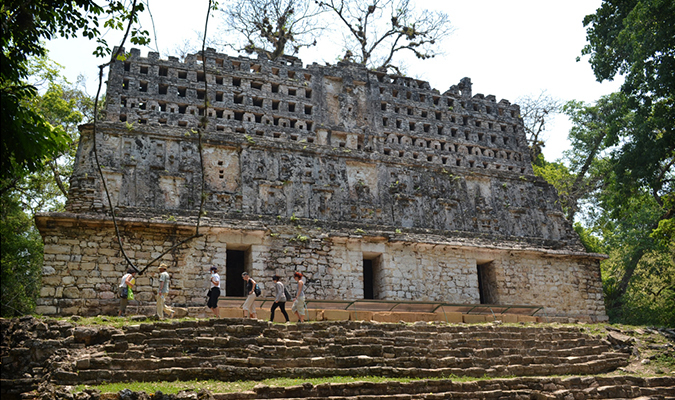 Regarded for its well-preserved murals, Bonampak is an ancient Maya city, which peeked between 580-800CE. Along with your guide, you will explore this site set in the Lacandon Jungle, is lush and green and beyond the main plaza much of the area remains taken by the jungle. 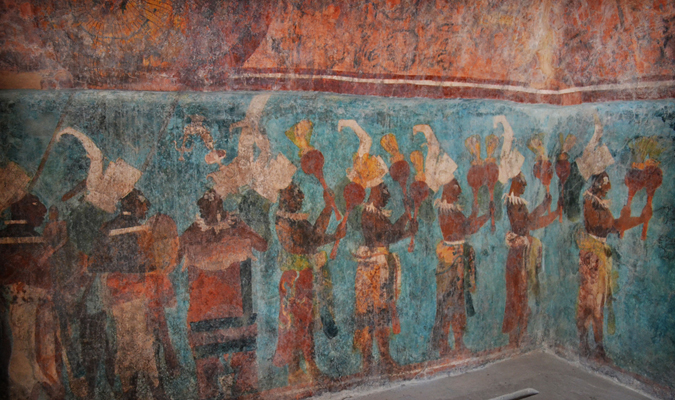 You will head to the Temple of the Murals where you can step inside three rooms that have brightly colored depictions of Maya life. 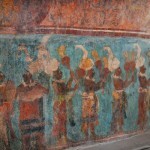 These carefully restored murals, show scenes of human sacrifice, war, ceremonial bloodletting and ritual dancing that debunked earlier theories that the Maya were passive mystics. Your expert guide will help you to decipher the scenes and will explain how the Maya were able to create such vibrant hues using natural materials. Next you will travel to Frontera Corozal, where you will board the boat to get to the Maya city of Yaxchilán (44 km, 45 minutes). 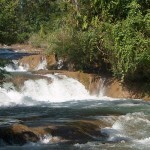 The boat will head down the Usumacinta River, which divides Mexico and Guatemala. During the 40-minute boat journey you will likely see people fishing from the banks and children swimming in the river. You may also spot a variety of animals that make the waterway their home. Arriving at Yaxchilán you will walk up through a jungle path that leads you to the main plaza, with tree roots at your feet and monkey’s swinging in the trees above your head. Your guide will lead you in an exploration of this site, which was one of the most powerful Maya cities along the Usumacinta during the Late Classic Period. Yaxchilán’s modern day importance lies in the number of preserved, intricate structures as well as the hieroglyphs and inscriptions found here that clearly narrate the city’s history. As you traverse the site, your guide will inform you of the history, as well as the myths and legends of the site, while howler monkeys roar overhead. After your exploration, you will board back up the river by boat and then be driven back to your hotel in Palenque (165km, 2.30 hours). 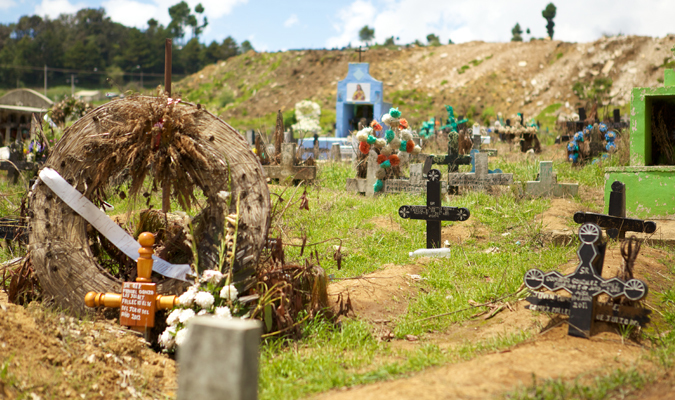 After breakfast and hotel check out, you will meet your guide in the hotel lobby for a private transfer to San Cristobal (4:25 hrs, 215 kms), visiting Tonina Archaeological Site en route. Toniná, meaning ‘house of stone’ in the local Tzeltal Maya language, is an ancient Maya city that archeologists now believe has the largest pyramid in Mesoamerica. The site is also known for its stucco sculptures and rounded monuments, as well as having the last known Long Count date on a Maya monument. Your expert guide will lead you in an exploration of the site that was known to be an aggressive city, engaging often in warfare with neighboring towns. You will visit the large ball-court and see over 100 carved monuments dating from the 6th-9th century. As you traverse the site, you will learn about the latest explorations and the new information that is being discovered. 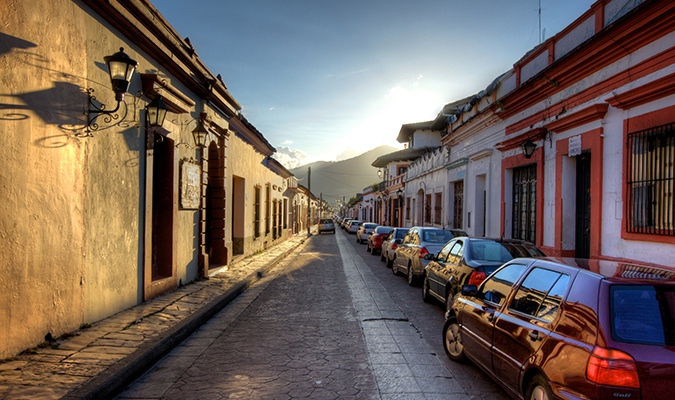 Upon completion of your visit, you will be driven on to your hotel in San Cristobal (2:40 hrs, 107 kms) for the rest of the evening on your own at leisure. 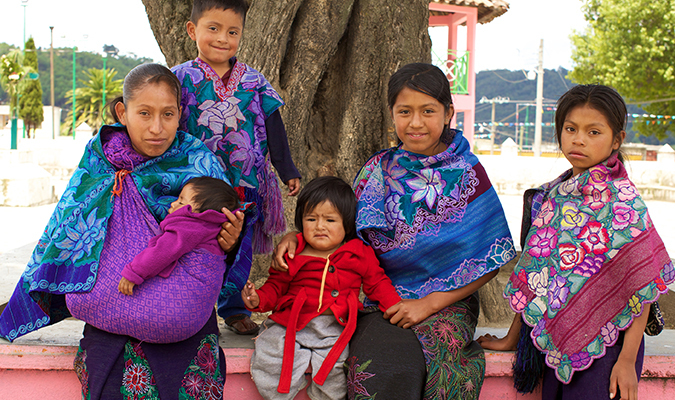 Today after breakfast, you will meet your guide for a privately guided experience of the living traditions of Chiapas. 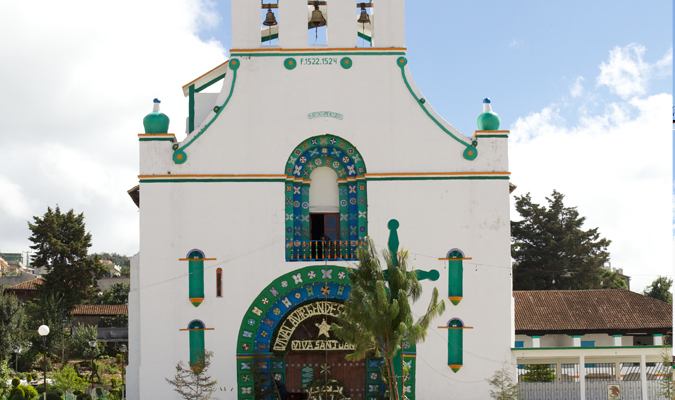 Discover San Cristóbal with its red-tiled-roof houses and narrow winding streets, visiting the churches and markets of the city and discovering local textiles and handicrafts. 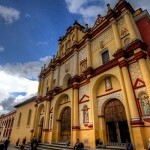 Next you will head to two indigenous towns nearby, beginning with San Juan Chamula. 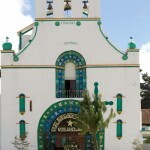 You will visit the church where the blending of pre-Hispanic traditions and Catholicism is evident in its rituals. There are many beautiful and magical sacred sites in Mexico, but few hold the energy of the indigenous traditions you will witness during a ceremony led by a Shaman in the community of Zinacantan. This spiritual energy is at the base of a personal transformation and a heart-felt expansion of your being. 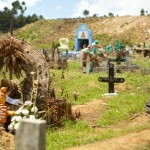 Afterwards, you will be driven back to your hotel in San Cristobal de las Casas. Today after breakfast, you will meet your expert guide at the hotel lobby and be driven (1:15 hrs, 65 kms) to the docking pier Rio Grijalva, just outside of Chiapa de Corzo. 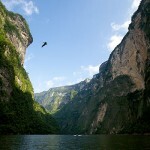 At arrival, you will take a boat trip along the river through the Sumidero Canyon National Park. You will awe in the canyons cliffs that rise some 900 meters above sea level. 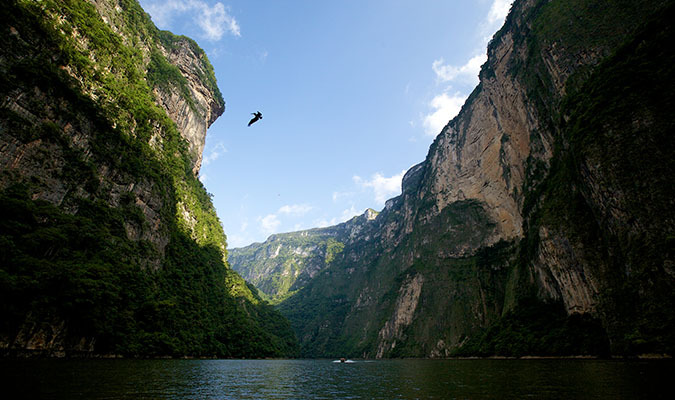 Make your way by boat through the canyon along the Grijalva River, which extends across the states of Chiapas and Tabasco and flows into the Gulf of Mexico. The canyon was created as a result of a geographical fault during the Pleistocene Era and is home to a plethora of wildlife; including crocodiles, monkeys and marine birds which your guide will help you spot along the way! There are also a number of unusual rock formations to observe as you traverse through this blue green river and take in the view of this natural phenomenon. Upon completion of your boat ride, you will have some time for lunch (not included) in Chiapa de Corzo before heading back to your hotel in San Cristóbal de las Casas about 1hr away.